ABA today welcomed the Commodity Futures Trading Commission’s proposal to set the swap dealer de minimis threshold at $8 billion on a permanent basis while noting that it could be set even higher or, preferably, replaced with a risk-based threshold instead of a fixed aggregate gross notional amount of swaps. The American Bankers Association today welcomed the Commodity Futures Trading Commission’s proposal to set the swap dealer de minimis threshold at $8 billion on a permanent basis while noting that it could be set even higher or, preferably, replaced with a risk-based threshold instead of a fixed aggregate gross notional amount of swaps. Prior to the CFTC’s proposal in June, the threshold had been scheduled to drop to $3 billion at the end of 2019. ABA cited findings from the CFTC itself and research commissioned for ABA by NERA Economic Consulting that found that a higher threshold would produce significant savings without losing meaningful coverage of the swaps market. The CFTC’s own estimates found that a $20 billion threshold would reduce the swap dealer regulations’ coverage of the aggregate gross notional amount by only 0.01 percent. NERA’s findings estimated that a $15 billion threshold would save firms $81 million on a net present value basis. 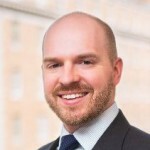 Drawing on feedback from its working group of member banks, ABA further argued that the CFTC should switch to a “multi-factor approach” in determining its de minimis threshold and that moving toward more robust risk-based measure — specifically, initial margin posted by swap entities — would reduce systemic risk. ABA also welcomed the CFTC’s proposed new de minimis exception for swaps made by insured depository institutions in connection with originating loans for their customers; these swaps would not count toward the $8 billion threshold. ABA also urged the CFTC to create de minimis exceptions for exchange-traded or cleared swaps and non-deliverable forwards. For more information, contact ABA’s Ananda Radhakrishnan.